UNESCO will be bestowing the prestigious Confucius Prize for Literacy on an NGO from the southern Indian state of Kerala for its skill development activities through literacy and its promotion. 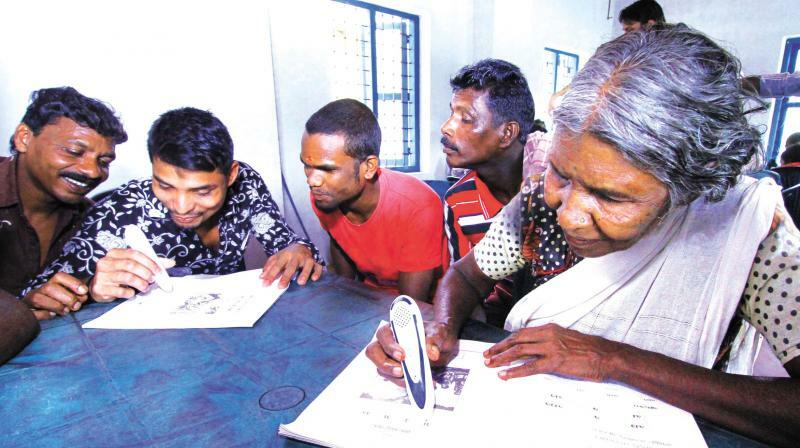 Jan Sikshan Sansthan (JSS), a Kerala-based NGO will be honoured by UNESCO tomorrow at its Paris headquarters for its activities in the field of lifelong education and skill development among the underprivileged in rural areas of Malappuram. Their initiative to apply new technology in literacy, such as Braille application and the talking pen used by the JSS impressed UNESCO. Rajya Sabha member PV Abdul Wahab, a Member of Parliament in Rajya Sabha and JSS Malappuram Chairman and the unit’s director, V Ummerkoya, will receive this award at a ceremony marking the 50th anniversary celebrations of UNESCO’s literacy programmes. The event will be held at the Paris-based UNESCO headquarters on September 8 and 9. JSS has reached out to the weaker sections, including the widows and the tribal, with its literacy and skill-development programmes. More than 53,000 people from different sections have been covered since the project began in 2006. The use of talking pen by JSS to educate tribal women has been very effective and was widely appreciated. With JSS’ support, more than 40,000 people improved their income through such means as stitching, repairing mobile phones, embroidery work, choke-making and bag making. The Education Ministers from UNESCO’s member states are expected to attend the ceremony, in which the third edition of Global Report on Adult Learning and Education (GRALE 3) will also be launched. According to a statement, Wahab will account his views on implementing a programme adopting an inter-sector approach linking literacy with agriculture and other livelihoods. He will also talk about the challenges for such a programme, and methods to overcome it during a panel discussion which will be moderated by Chakroun Borhene, Chief of Section, Youth, Literacy and Skill Development, UNESCO and presented by Arne Carlsen, Director, UNSECO Institute for Lifelong Learning, it said. According to the latest census report 2011; the illiteracy rate in India is 22 per cent, which means India has the world’s largest population of illiteracy. As per the new Global Education Monitoring (GEM) report by UNESCO, India is expected to achieve universal primary education in 2050, universal lower secondary education in 2060 and universal upper secondary education in 2085. 2011 census report also points out Kerala as the most literate state in India with 93.91 per cent of literacy. The initiatives and progress of JSS might set an example for the other NGOs in India working on the issues of literacy and skill development.